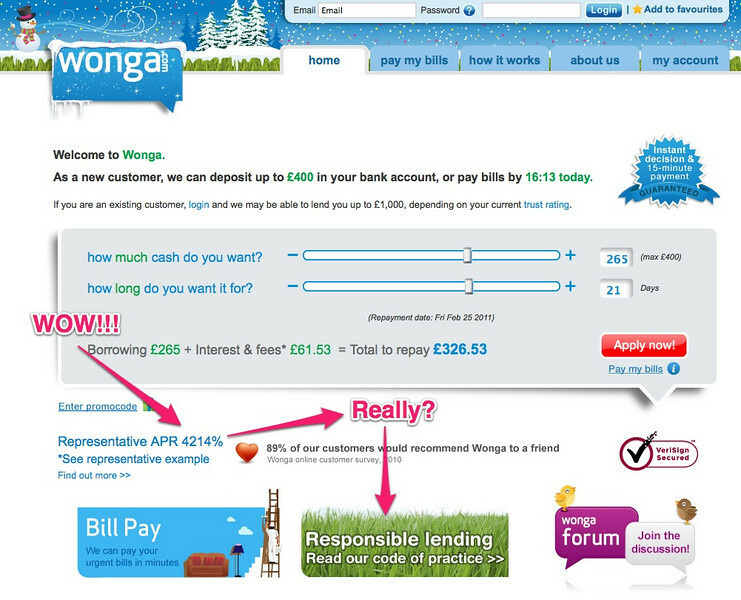 Now I will admit that the standardised use of APR as a comparative measurement of the cost of a loan is a bit misleading when it comes to short term loans, which Wonga.com deal in, but still. It makes you think. 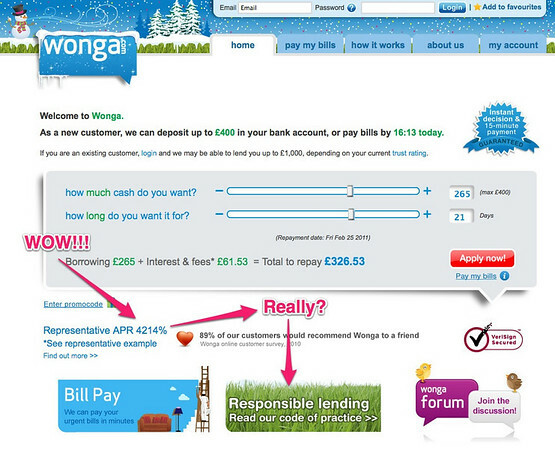 If you use the services of wonga.com for a lot of short term loans over a year or roll your loans over and over and over again, which the people who are likely to need this service are likely to do, there's a very good chance you'll end up paying pretty close to the 4214% APR. Could this be classed as exploitation of the poor? Labour MP Stella Creasy thinks so. She has proposed a motion for these type of loans, collectively called "payday loans" to be debated in the House of Commons to get some sort of regulation in place. If you find yourself in a position of needing one of these loans, and there really is no alternative: don't fall for the gimmicky name and TV advert. Shop around. I found a comparison site which clearly shows Wonga.com is the most expensive by almost twice as much as its next closest competitor in terms of APR.